We are now fully licenced and aurthorised by the ARC to service and repair Air Conditioning systems. Selling or buying a car? 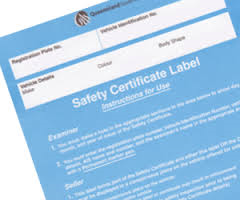 If a vehicle is registered in Queensland and is going to be sold, by law it must have a current safety certificate before the vehicle is advertised for sale. An unregistered vehicle is also required to pass a safety certificate inspection if the vehicle is to be registered. We are an approved inspection station and can perform these inspections, The Queensland transport department set the inspection fees and the rules and regulations which we abide by.